Mirror-finished beveled edges lend an air of sophistication to this satin-finished 6mm wedding ring. 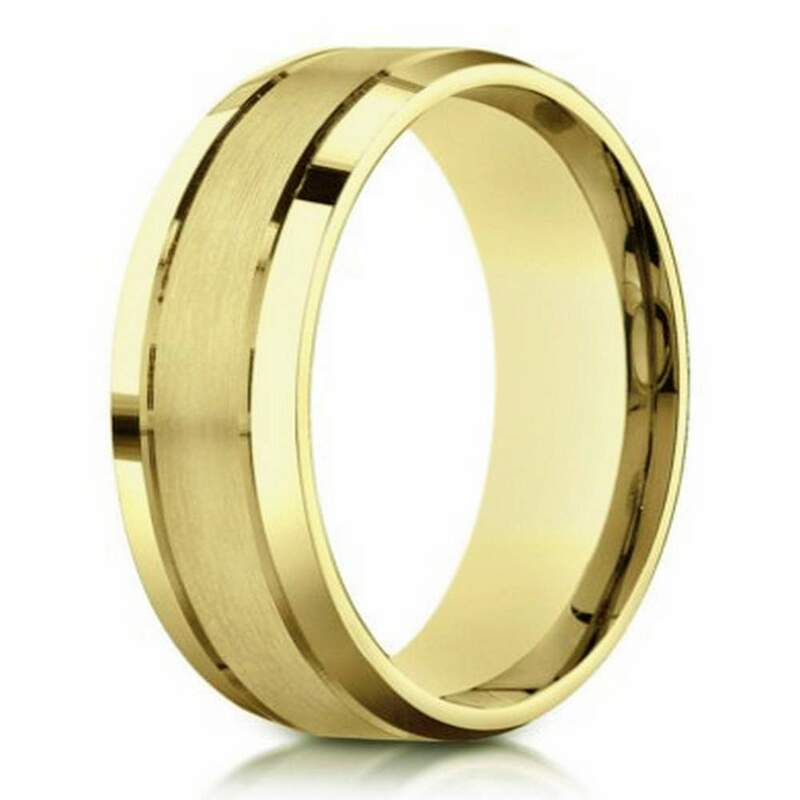 Made from 10K yellow gold, it has a flat profile with a rounded comfort-fit interior. A handsome choice for any man! Comfort fit rings usually measure 1/2 size smaller due to the additional metal inside the ring. We recommend having your finger measured for a comfort fit ring at your local jewelry store.